I wanted to like it. I really did. 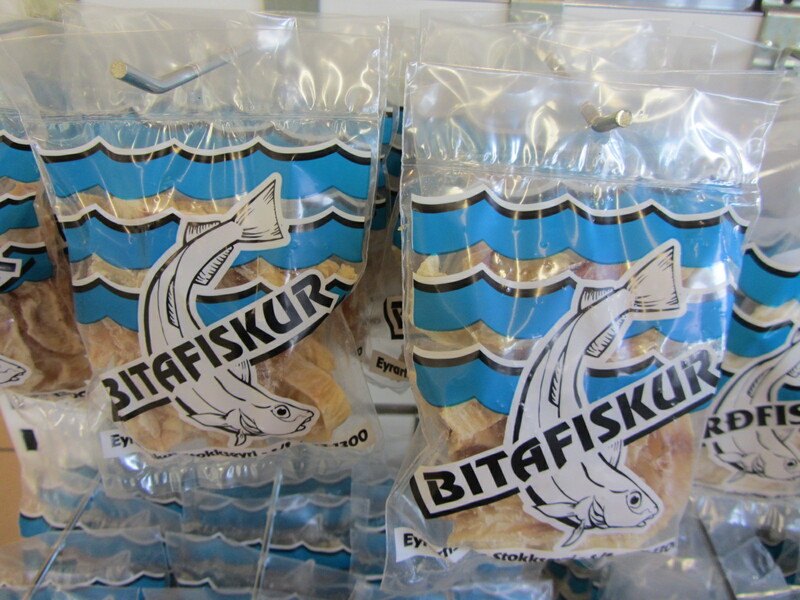 Everywhere I went in Iceland, there it was: dried fish. Supermarkets, rest areas, gift shops, even at Sæmundur, the gastropub at Kex Hostel, where we stayed in Reykjavik. They all had it. So obviously, I had to try it. And you know what? Open-minded as I am about food, I hated it. I finally decided to order it at Sæmundur because I figured everything else I’d eaten there was great, so if dry fish was gonna be good anywhere, it’d be there. 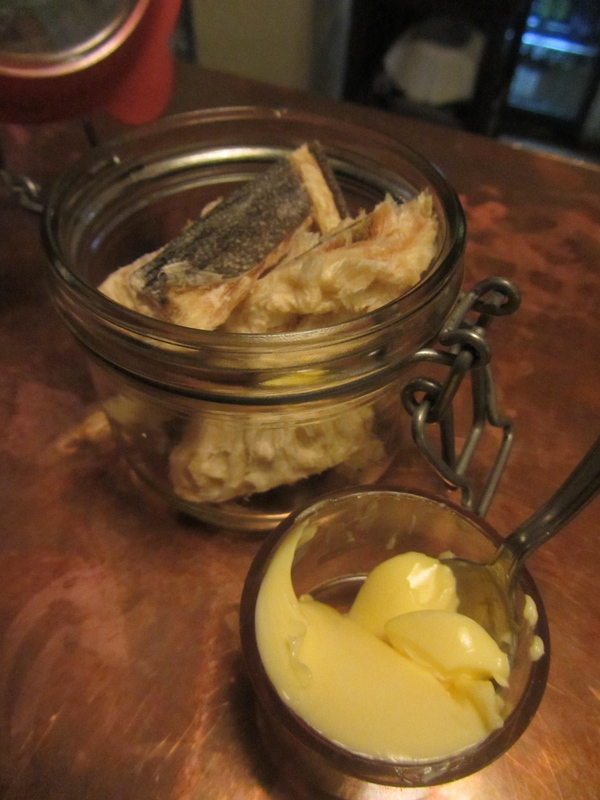 Yet when the dried catfish with butter came out, cutely served in a little glass jar… sigh… it was gross. Not in presentation, but absolutely in consistency and flavor. Each strip of silver-skinned fish was tough as an old sneaker and the taste was only slightly better. Even after I smothered a piece in butter, which by the way, was perfectly rich, soft and salted, the dried fish was awful. I chewed and chewed and chewed some more, until my jaw hurt and then I just swallowed the ol’ tough ball with a hard gulp, before sliding the rest of the glass jar back across the bar. There’s a very short list of things I don’t like to eat, and I’m sorry to say, but icelandic dried fish, you just got added to that list. This entry was posted in Uncategorized and tagged butter, catfish, dried fish, Iceland, icelandic food, Kex Hostel, Reykjavik, Sæmundur. Bookmark the permalink. I was so tempted to buy some… thanks! I’m glad I didn’t! Ha! Yea, you certainly didn’t miss anything, except maybe a serious jaw workout.